When Parents Aren’t Around” offers up-to-date and well researched information that is easy to read for 8-13 year old children and their parents. The aim of the book is to teach children basic behavioural skills for self-protection, designed with a proactive approach that switches them onto survival without making them paranoid. It is written so that information can be learnt and retained with a special introduction and a chapter for parents to help in their child’s self-protection education. This book focuses on the soft and hard skills needed to be in place in order for a child to have a better chance to avoid or escape safely from a physical confrontation. 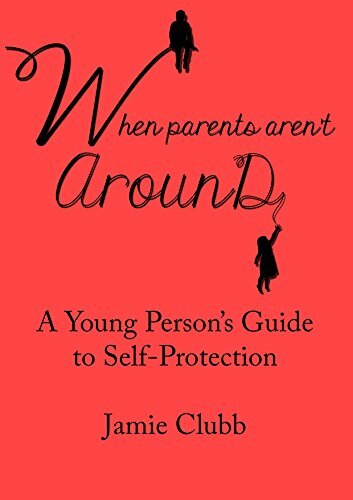 “When Parents Aren't Around' A young person's guide to real self-defence provides comprehensive insights into the world of self-defence, and debunks many myths and misconceptions. It is an excellent resource, which parents and children can use together to learn a range of practical techniques and life skills, which will enhance their confidence and self-esteem. The message that integrating a genuine self-defence framework into a person's life helps to achieve an independent and safer future is a powerful one. I recommend this book as very readable, and one which gives sound advice to parents and young people about how to deal with actual and potentially challenging situations.” – Claude Knight, Director of the Kidscape children’s anti-bullying charity. I only see an e-book version ... does anyone know if there is an actual book-book paper version? I’ve been in touch with Jamie and apparently there is only the eBook version at the moment. The publisher will consider a printed version based on the popularity of the eBook. I’m like you in that I prefer “book-books” too, but eBooks are now more popular (Amazon now sells more eBooks than printed books) and certainly more efficient for publishers due to the lack of printing and storage costs. Whatever the format, the information is first class and highly recommended.